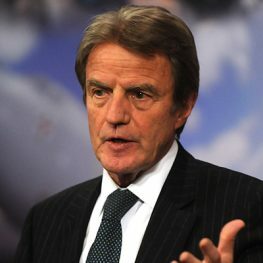 Bernard Kouchner received the Knight of Freedom award in recognition of his contribution in promoting humanitarian values through the organization "Doctors without Borders" and input in the promotion of the freedom, justice and democracy worldwide. In 1971 Bernard co-founded the Doctors Without Borders organization (Médecins Sans Frontières), and in 1980 the Doctors of the World organization. In the years 1988-1992 he held the position of Minister of Humanitarian aid. In 1992-1993, 1997-1999 and 2001-2002 he served as Minister of Health. From 1994 to 1997 he was a member of the European Parliament on behalf of the Socialist Party. In July of 1999 he was appointed the first UN Special Representative and head of the Interim Administration in Kosovo. This function he held until January 2001. In 2007-2010, he served as Minister of Foreign Affairs of France.